Q. Where is the closest place to get a cup of coffee or a snack? 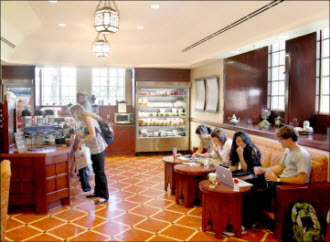 LiteraTea (north of the Doheny Library courtyard) offers a wide assortment of beverages, snacks, and light meals. Trojan Grounds is another choice for Leavey Library goers. And the Tutor Campus Center has several dining options.